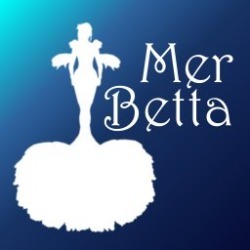 Mer Betta™ was born for want of a good tail for a concierge party, to which a dear friend Paradox Olbers invited me. Read the story here. Besides indicating that the products are mer-related and derived from the betta fish, the name is also a play on the slang phrase "mo' bettah".